Manitoba’s organic farmers now have an agronomist to call their own — even if it’s only for a year. The farmer organization the Manitoba Organic Alliance has teamed up with the University of Manitoba and the provincial Agriculture Department to create a one-year term position for an organic agronomist and Katherine Stanley has been named to the position. The researcher will split her time between research at the University of Manitoba and consultation with farmers and the Manitoba Organic Alliance. Farm visits are possible if the producer requests them, she said. It is unclear how much time the new agronomist will spend on farm, something that both she and Manitoba Agriculture organic specialist Laura Telford says will depend largely on the program’s uptake. Stanley added that she expects the role to adjust as both she and the organizations involved get a better idea of where need is greatest. Stanley hopes to develop a more formalized communication network within the industry during the year. 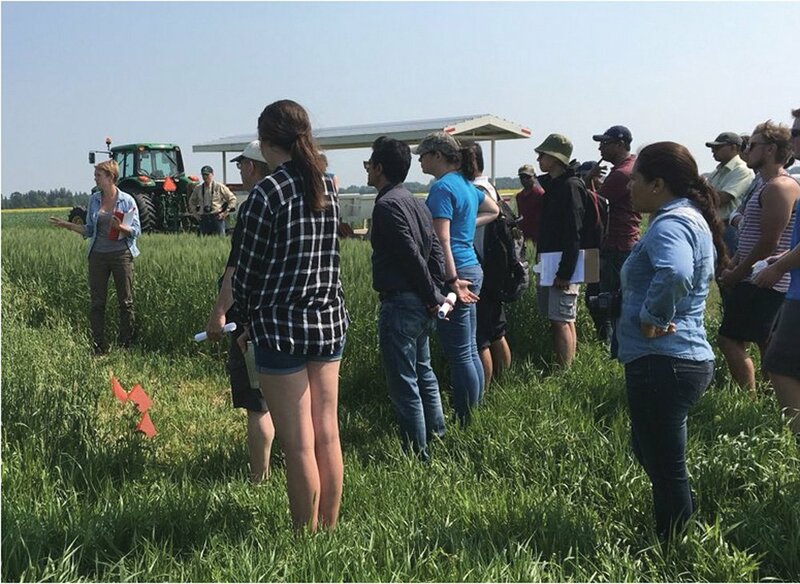 A product of the University of Manitoba’s natural systems program, Stanley has spent much of the last two years working with Dr. Martin Entz on organic production systems. “It’s always weeds and soil fertility,” she said of the main issues facing organic producers, issues she expects to run into in her new role. Kate Storey, Manitoba Organic Alliance president, said the position fills a long-empty gap. Producers have been largely reliant on corporate agronomists until this point, she said. The alliance has been lobbying for a public organic agronomist for several years. “Since organic production became a thing, all of the farmers, they want to know how to do this better so we can make more profit off our farms,” she said. The alliance would like to maintain the position long term, although it is unclear if the needed resources will be in place. This year’s term was supported by Career Focus, a national program aimed at agricultural internships and work experience for recent graduates.